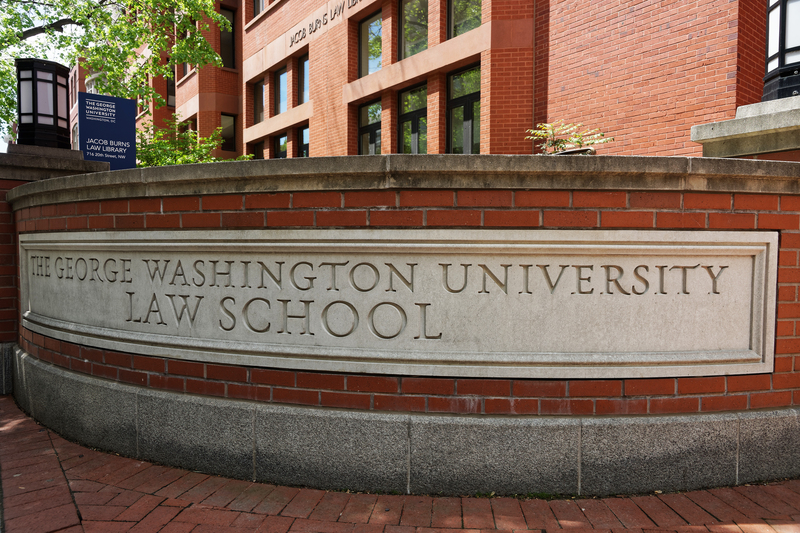 George Washington University Law School wants to look into an incident where a student was accused of saying an anti-Semitic comment in a private conversation. Ali Kingston, president of the Student Bar Association (SBA), was meeting with a member of the Jewish Law Student Association (JLSA) in September after the group failed to mention on an event’s poster that alcohol would be present, The College Fix reported Wednesday. JLSA accused Kingston of saying, “Tell your Jew friends, I’m coming for them, they need to stop violating the alcohol policy,” according to Above the Law. Kingston offered an apology though she denied the allegation. She clarified that she never said, “Jew friends,” but said, “[T]he Jews,” The GW Hatchet reported. “I do not hate the Jews,” Kingston said, according to The GW Hatchet. Kingston was supposed to apologize privately to JLSA on Oct. 22, The Fix reported. SBA and JLSA, however, went public with the incident when they thought Kingston’s apology was “not satisfactory,” according to The GW Hatchet. The SBA Senate voted to ask Kingston to resign from her position on Oct. 23. Kingston has not stepped down. “At the Senate Meeting on Tuesday evening, [Associate Dean of Students, Elizabeth Ewert] formally requested that the Senate discontinue its ad hoc process and instead consider referring the matter to the university bias reporting process,” a GW spokesperson said, according to Above the Law. Banzhaf helped stop a program similar to bias reporting where people could submit anonymous complaints against school staff or students over the phone, The Fix reported. “The very fact that somebody, in this case a student, for saying basically one word in a private conversation would be subject to an official secret investigation by the university sounds to me very much like what we got rid of some 15 years ago,” Banzhaf said to The Daily Caller News Foundation over the phone. GW is supposed to launch a bias reporting site for the fall semester, according to GW Today. Nicki Neily, president of Speech First, believes bias reporting systems prevents students from expressing sincere views. Speech First is an organization that focuses on protecting free speech rights of college students. “Bias Response programs encourage students to take their problems to administrators, rather than to adjudicate the issues themselves. That’s a terrible message to send to students who should ostensibly be preparing to enter the workforce and the wider world,” Neily said to TheDCNF in a statement. GW Law, JLSA and SBA did not respond to TheDCNF’s requests for comment.